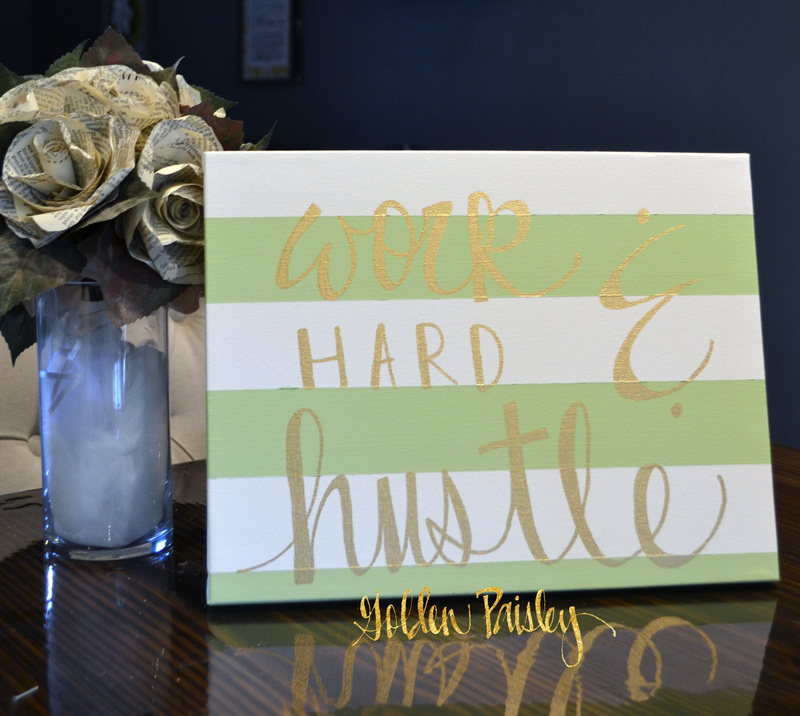 This mint green striped with metallic gold text painting features the hand lettered phrase “work hard & hustle,” making it the perfect decor for your office space! 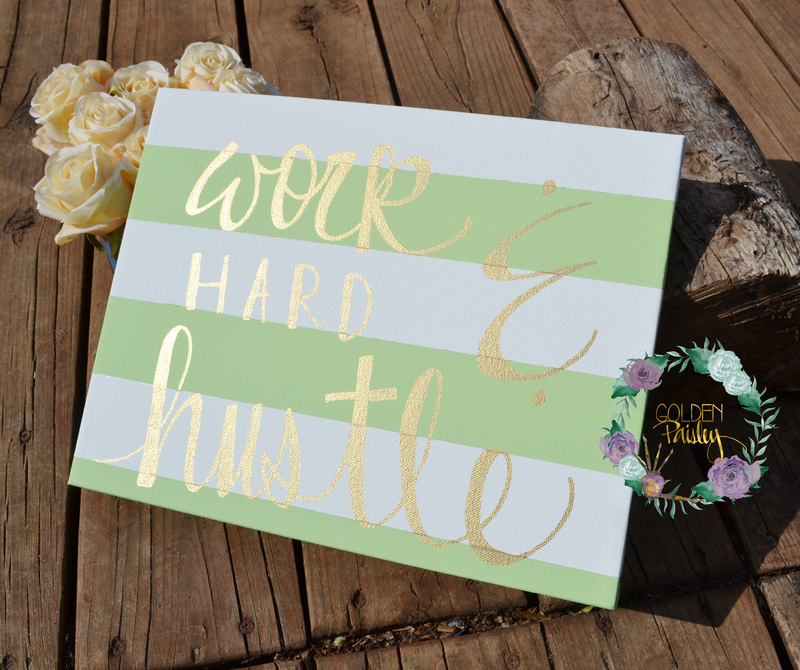 The hustle is real, folks! 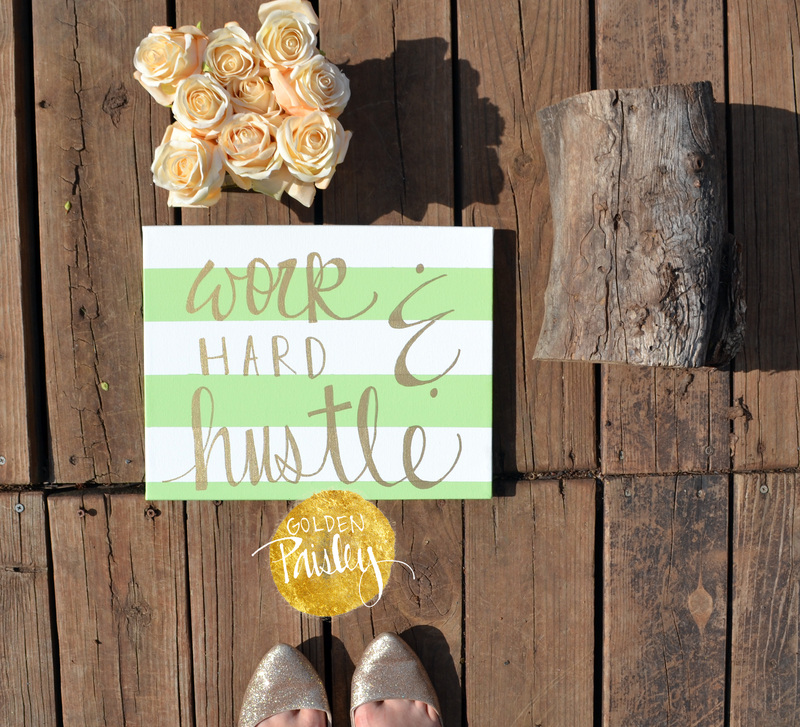 Keep up the hard work and remind yourself to whistle while you hustle! 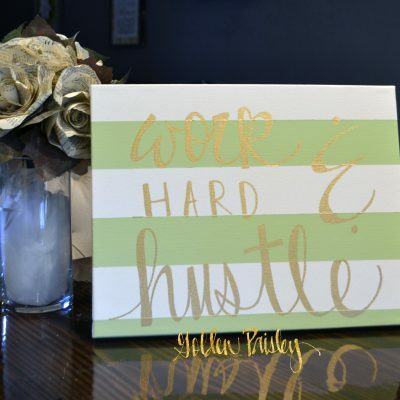 Want this in another color to match your office space? Just ask! 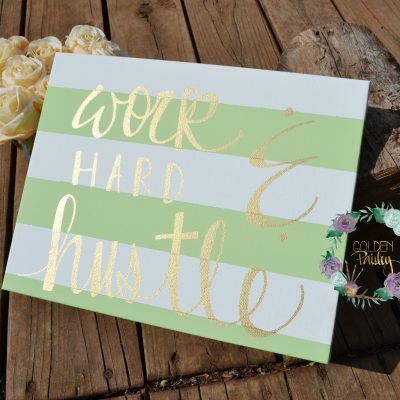 to have a matching set! 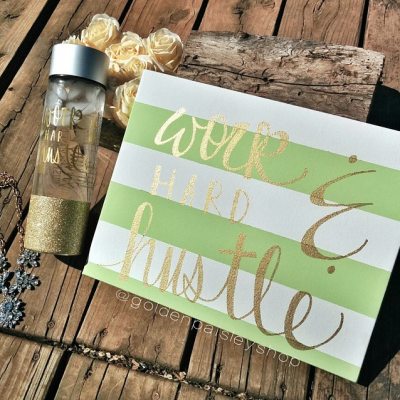 GlitterSips makes amazing custom glittered drinkware to sparkle your life!